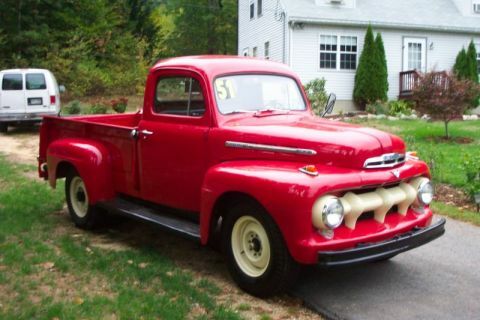 Car Information: 1951 FORD F3 1 TON PICK UP. FLATHEAD V8 , 4 SPEED , BODY REDONE, 5 RECENT 17" BIAS PLY TIRES, NEW WATERPUMPS & RECORED RADIATOR, CONVERTED TO 12 VOLT, TOO MUCH MECHANICAL REPAIRS TO LIST. LOOKS RUNS & DRIVES GREAT. DRIVEN DAILY. A LITTLE MORE WORK AND IT WOULD BE PERFECT!